Another short fiction in Bastion Science Fiction Magazine. June issue (3), this time. The story was based on a note in Somerset Maugham’s “A writer’s notebook”. 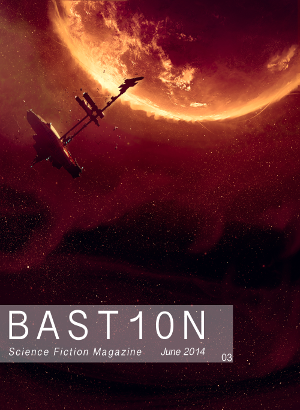 My last story for Bastion in April’s issue is also featured on their site to promote the mag. **update – They were on site, until I asked for them to be removed because I plan to put them into print. You can still read the stories if you buy a copy of the Bastion emag, of course.